No insurance? No problem! 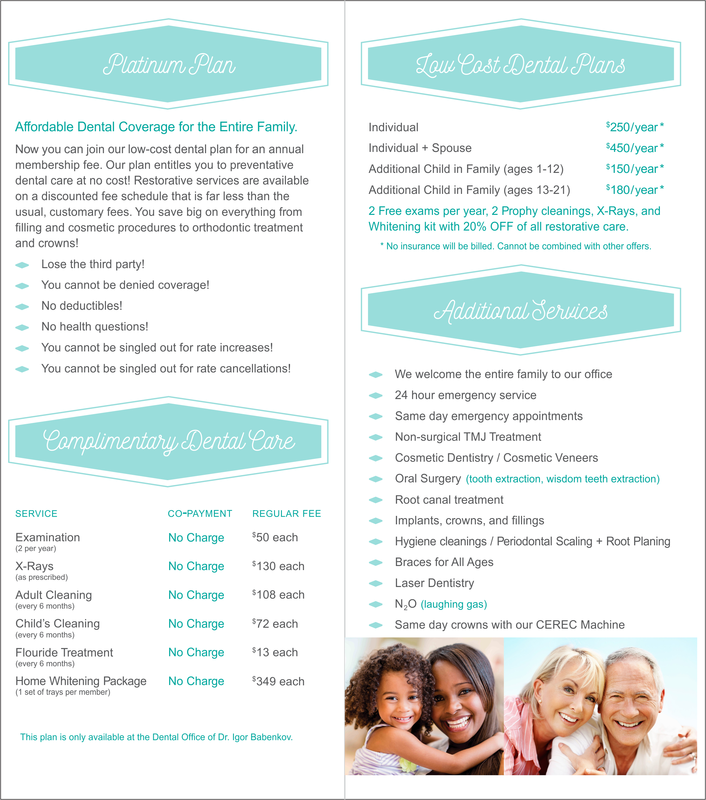 We have created an in-office discounted plan to help uninsured patients. There is no waiting period. There is no downgrade. No fine print! 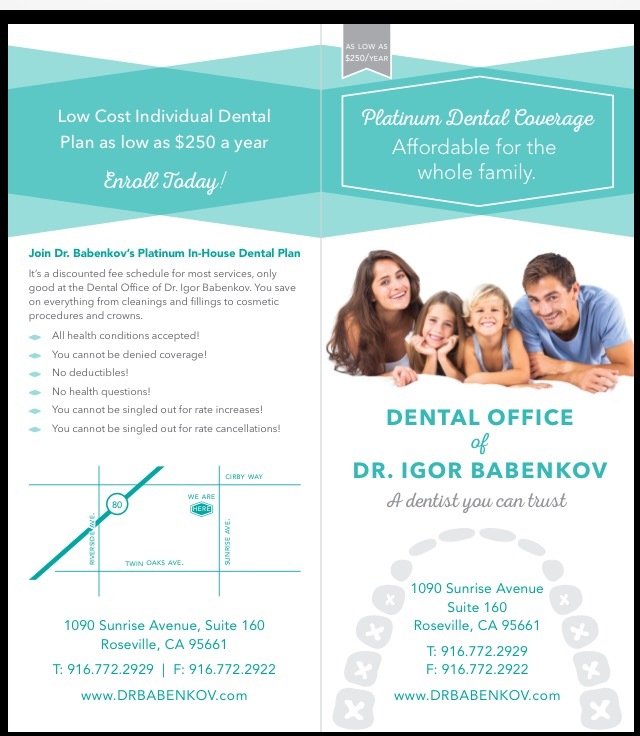 This plan will keep you covered in our office for the entire year! You will receive 2 professional cleanings, 2 full mouth examinations, full mouth x-rays and 20% off on any restorative treatment. Call us today if you have any further questions. We Hope to see you soon!